3. Interpret scientific models such as formulas, graphs, tables and schematics, draw inferences from them and recognize their limitations. 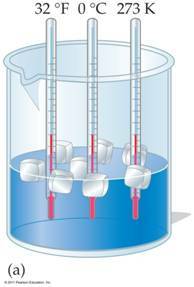 Temperature is a measure of the AVERAGE amount of energy in a substance not the total energy. HEAT is the energy that flows from a higher temperature object to a lower temperature object. Cold is the absence of HEAT. 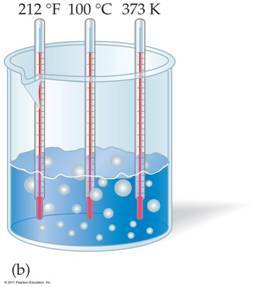 Absolute Zero –Temperature at which the particles of a substance have absolutely no kinetic energy to give up. Read section 2.6: Temperature Is Measure of How Hot – Heat It is Not! Fill in the table below/next page with your parameters to make oX (Student): (Professor Taylor’s normal body temperature is the normal 98.6 oF, Professor Bessman 96.8 oF, and Ms Sweet 97.3 oF. In the Suchocki textbook on page 40 Figure 2.21 refers to temperature on the Fahrenheit and Celsius scales as degree F (oF) and degree C (oC), but in kelvin temperature, temperatures are referred as kelvin units not have the degree o symbol before the K. Why?